Apparently, not all demos are created equal. For the most part, 3DS demos limit users to 30 plays. 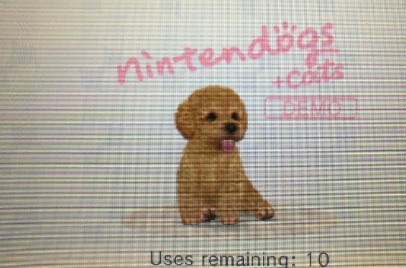 Then Nintendo decided to change that this week with Nintendogs + Cats, which only lets players try the game ten times. What? Just ten? We know it's a pet simulator, and not Resident Evil, but come on. Will this apply to all first party games? We sure hope not.